Check out the latest news, interviews, and much more at our new home on the ALA Store! Located just inside the Shuttle Bus Entrance at the Orange County Convention Center, the ALA Store offers products that meet the widest range of your promotional and continuing education/professional development needs—as well as fun gift items. Make sure to carve out some time in your schedule during the conference to stop by and examine the many new and bestselling items available! Remember that you can now find titles from ALA Neal-Schuman and Facet Publishing in the ALA Store. You can also get free shipping on all book orders placed in the ALA Store (posters, bookmarks, and other gift-type items are not eligible for this offer). Stop by the ALA Store to learn more about our eLearning opportunities. You can also arrange for a live demo of RDA Toolkit—just contact us by June 20 to request an appointment. Prices at the ALA Store automatically reflect the ALA Member discount, so there’s no need to dig out your Member number. And remember that every dollar you spend at the ALA Store helps support library advocacy, awareness, and other key programs and initiatives! Looking for a new thriller to read? 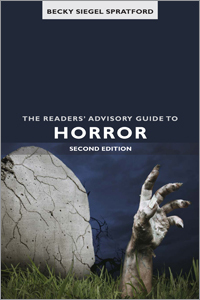 Just in time to autumn ... and Halloween: our horror RA specialist Becky Siegel Spratford, author of The Readers’ Advisory Guide to Horror, Second Edition, has a recommendation for you. This blog post was initially posted at Becky Spratford's Blog RA For All: Horror. Becky Spratford is the author of the upcoming Readers' Advisory Guide to Horror (2nd Edition). Recently I finished the post-apocalyptic zombie novel, Warm Bodies by Isaac Marion. Wait right there. I know what you are thinking, "another post-apocalyptic zombie novel." But this one is different. Warm Bodies is Marion's first novel, and it is remarkable for what it is not. It is not a story of how people are surviving after zombies rise up and destroy life as we know it. Rather it is the story of a zombie, R, who cannot remember his life before he was a zombie, but with the help of Julie, his human friend, he is beginning to heal. That's right, I said heal. The zombie virus appears to be mutating. And R and Julie, and their human-zombie friendship is leading toward a new future for life on earth by book's end. I don't want to give much more away about the plot, rather, I want to talk about the appeal-- the "why" you would want to read this novel. The main appeal to this story are the two main characters and their evolving relationship: R (the zombie) and Julie (the young adult human). The entire book is from R's point of view. He is an evolving zombie. He is healing from the virus that made him a man-eating monster. Through his relationship with Julie, he is learning to become human again. As the two grow closer, Jule shares her personal thoughts about how humanity is choosing to live now. I was enthralled by R, how he evolves, and how together with Julie they tried to "change the world." Since this novel is character centered over action centered, the pace is not super fast, but it is also not slow either. It would call it "steadily building." The pace is appropriate to the thought-provoking nature of the story. As readers, we need a breather from the tense scenes so that we can sit back and process what just happened. This is a novel of ideas, big ideas, about human civilization and life. We experience it all through R and Julie, but we readers need time to think about things for ourselves too. This novel is also appealing because it is so unexpected. Yes, there have been zombie novels from the zombie's perspective before, but never have I read one that looks at the possibility of the zombies healing and rejoining the world, albeit a totally new world from the one we actually live in. It is not just the overall theme and plot that are unexpected though. R and Julie are interesting and original characters. For someone who reads a lot of zombie books, it was nice to read one that surprised me. I also want to comment on the setting, which I found extraordinary. Interestingly, in Marion's imagination of a post-apocalyptic world, humans have turned their huge sports stadiums into new cities. The scenes when R goes into the human settlement and describes what he sees were riveting. It was a completely original way to look at how we would organize our lives after everything has collapsed. Despite the overwhelming mass of fiction which has looked at this issue in the past, Marion managed to add something new to the pile. I would suggest this book to readers just for these few chapters alone. So it must now be asked, is Warm Bodies horror? In the new book, I define horror as, "a story in which the author manipulates the readers' emotions by introducing situations in which unexplainable phenomena and unearthly creatures threaten the protagonists and provoke terror in the reader." I think the answer to this question may depend on the reader. The main goal of this novel is to explore the zombie apocalypse and posit a solution, a chance for the virus to be cured, and for civilization to go on again. However, the unease is huge here. Since we are in the head of a zombie (who does eat people during the book), we, the readers, are never fully at ease. Even as our sympathy for R grows, we never fully trust him. The book does not work if Marion does not play with our emotions and keep us unsteady, engrossed, and ultimately scared of what is coming next. I would say that Warm Bodies is part of the "new" type of horror as begun by Joe Hill in Horns. Click here to see where I discuss this issue in detail. So be prepared to be frightened, but in an unexpected way. Where This Book Took Me (summer reading feature): post-apocalyptic America; into the brain of a zombie. The annotations for these suggestions will all appear in Chapter 7-- Zombies: Following the Walking Dead of the new book. I did also see one Amazon reviewer liken R to Edward Scissorhands . I totally agree. So if you like that movie, try Warm Bodies . Of course there is also an entire cottage industry in nonfiction zombie survival guides. It all started with The Zombie Survival Guide: Complete Protection from the Living Dead by Max Brooks. But click through and see what else customers bought and you will find nonfiction options like this, this, and this. And don't forget the book you should suggest to R to read for himself (now that he is beginning to regain that skill): So Now You're a Zombie: A Handbook for the Newly Undead. One of the arguments I make in Chapter 13 of the new book (available for pre-order now) is that horror works really well in audio. In my book, I discuss this issue further and also provide a list of 10 sure bet audiobook for horror fans that are easily available at the public library. However, this list is only a starting point. I am always on the lookout for more horror audiobook review sites. Recently I came across Audiobook Heaven, an audiobook review blog. They not only do a good job reviewing audiobooks, but also, they label each review well. Any and all possible genres that the title could even remotely be classified as are included here. In this time of blurring genre lines, their comprehensive labeling is much appreciated. Use the following links to search Audiobook Heaven for yourself to find some audio tales of terror. Happy Listening! Are you tired of your boring, every-day life? Are you dying to live the exciting, adventurous life of an urban fantasy heroine. Just follow these twelve easy steps. You won't even recognize yourself by the time the transformation is completed (and neither will your friends and relatives). 2. Meditate at length on the circumstances of your extremely unhappy and chaotic childhood. 3. Drive an eccentric car or motorcycle (for example, a 1970s muscle car, a bright yellow VW beetle, your grannie’s 1985 Buick, an ancient Mercedes, or a sleek Ducati) and be able to fix it yourself when it (inevitably) breaks down. 4. Live in a unique location in a dark gritty city (for example, a converted warehouse, a walk-up apartment in an iffy neighborhood, or a de-sanctified church)—no suburban ranch or classy colonial for you. 5. Develop an annoying addiction to a particular designer-label coffee (or tea) and complain bitterly when you are offered any other beverage. 6. Suffer from crippling levels of guilt and self-doubt, and keep reminding yourself that every single bad thing that happens to you and your friends and relatives is all your fault—and no one else’s. 9. Develop skills with as many weapons as you can think of and carry all of them on your person at all times: down your back, beneath your jacket, in your shoes, holstered to your waist, under your hair, down your bra, and strapped to your arms and legs. 11. Wear only black clothing, preferably tight jeans and skimpy tank tops under a black leather jacket (with loops and pockets for weapons, of course), and underneath it all—lacy silk underwear. 12. Be a redhead, preferably a natural one. After growing up as the high school principal’s daughter in a small Ohio town (an adolescent’s nightmare),Patricia Mathews inexplicably pursued a career in public education, working as a teacher, program coordinator, and curriculum and assessment designer. She currently has the best job of her life—working behind the reference desk at her local branch library. Before getting caught up in paranormal fiction, her favorite readings were narrative nonfiction and character-driven fiction. Now, however, she can’t resist the heroes and heroines of urban fantasy. She lives in northeastern Ohio with her two cats, and although she watches them carefully, she has never caught them in the act of shape shifting. ALA Editions e-books are also available through Amazon, the Google eBookstore, NetLibrary, and other e-book distributors, as well as directly from the ALA Store. We just wrapped up the first session of Neal Wyatt and Joyce Saricks’ workshop Readers’ Advisory: How to Balance Your Library’s Reading Budget. We’ve gathered questions from the chat window so that Neal and Joyce can respond and elaborate. Please continue the discussion of these, and any other questions you might have in the comments area. Neal and Joyce will be chiming in. Can you give some tips for working within a limited budget? Even if you don't like a particular book or author, you can know the intended audience and what people like about it, right? Doesn't that help compensate if your personal opinion is negative? We are in a small community. How far should we extend our boundaries? Review sources rarely provide critical review information. Our readers are looking for qualitative info as well as appeal terms. Suggestions? At Leisure with Joyce Saricks: The Curse of the Best-Seller List. At Leisure with Joyce Saricks: Book Jackets. At Leisure with Joyce Saricks: Reading (and Writing) Reviews. At Leisure with Joyce Saricks: Recognizing What’s Popular. Written and designed to reflect the way people read today, this book is structured to quickly impart simple and cost-effective ideas on marketing your library. Based on guidelines issued by the Association for Library Cataloging and Technical Services (ALCTS), this handbook is a one-stop resource for librarians who organize information for children. Expert instructor and librarian Peggy Johnson addresses the art in controlling and updating your library's collection. Eminent blogger and library technology expert Jason Griffey provides a comprehensive guide to the present and future of modern gadgets, and how they can fit in to any librarian's plan for a high-tech future. Resource Description and Access (RDA) is the new cataloguing standard that will replace the Anglo-American Cataloguing Rules (AACR). This Special Report offers practical advice on how to make the transition. In this volume, Sue Polanka brings together a variety of professionals to share their expertise about e-books with librarians and publishers. 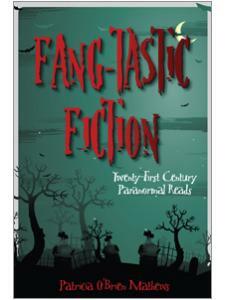 This revised edition provides a way of understanding the vast universe of genre fiction in an easy-to-use format. If you are interested in writing or reviewing for the library community, in publishing a book, or need to write and publish for tenure, then Writing and Publishing is for you. Whether the ultimate goal is writing for a library website, book club, or monthly handout, or freelancing for a newspaper, magazine, or professional journal, readers will find plenty of ideas and insight here. This survey helps YA librarians who want to freshen up their readers’ advisory skills, teachers who use novels in the classroom, and adult services librarians who increasingly find themselves addressing the queries of teen patrons. The modern librarian likely has a never-ending to-read pile, which translates into a readers’ advisory mess and an out-of-control readers' advisory budget. In our upcoming workshop Readers' Advisory: How to Balance Your Library's Reading Budget, Neal Wyatt and Joyce Saricks will offer tips that will help you clean up the mess and the budget. This workshop will offer practical tips to keep up with readers and your seemingly insurmountable to-be-read pile, saving time and money in the process. Registration for this ALA Editions Workshop, which takes place on Thursday, Feb. 24 at 2:30 p.m. EST/1:30 p.m. CST/12:30 p.m. MST/11:30am PST, can be purchased at the ALA Store. To learn more, please view the ALA Editions Workshops Frequently Asked Questions. Neal Wyatt is a collection development and readers’ advisory librarian from Virginia. She edits Library Journal’s “Reader’s Shelf” column and compiles the online “Wyatt’s World.” She is the editor of the Reference and User Services Quarterly’s “Alert Collector” column, contributes to NoveList and reviews for Booklist. A frequent popular speaker at ALA, PLA and regional events, she has designed and taught RUSA’s Web Continuing Education course on Readers’ Advisory Services. Her MSLS is from The Catholic University, where she formerly taught as adjunct professor. Joyce G. Saricks worked as coordinator of the Literature and Audio Services Department at the Downers Grove (Ill.) Public Library from 1983 to 2004. In addition to authoring "Readers’ Advisory Service in the Public Library" (3rd ed., ALA, 2005), she has written numerous articles on readers’ advisory, presented workshops on that topic for public libraries and library systems and spoken at state, regional, and national library conferences. In 1989 she won the Public Library Association’s Allie Beth Martin Award, and in 2000 she was named Librarian of the Year by the Romance Writers of America. Currently she serves as read-alike coordinator (and author) for EBSCO’s NoveList and columnist and audio reviewer for Booklist. She also teaches readers’ advisory at Dominican University’s School of Library and Information Science (Ill.). ALA Editions Workshops are designed to give you and your staff the opportunity to participate in a hands‐on learning experience that will help you make the best decisions for your library.